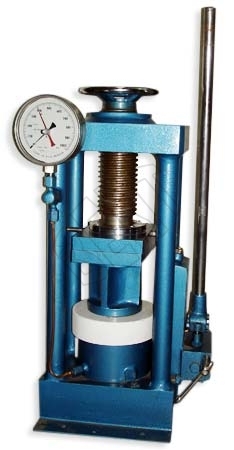 A Compression Testing Machine is designed for testing materials under compression bending, shear loads, and transverse. With the help of this machine, hardness test on metals can also be conducted. We manufacture and supply the best quality Compression Testing Equipment in the market. We ensure our customers 100 percent satisfaction. The machines can be supplied in two variants that is hand operated and motorized.